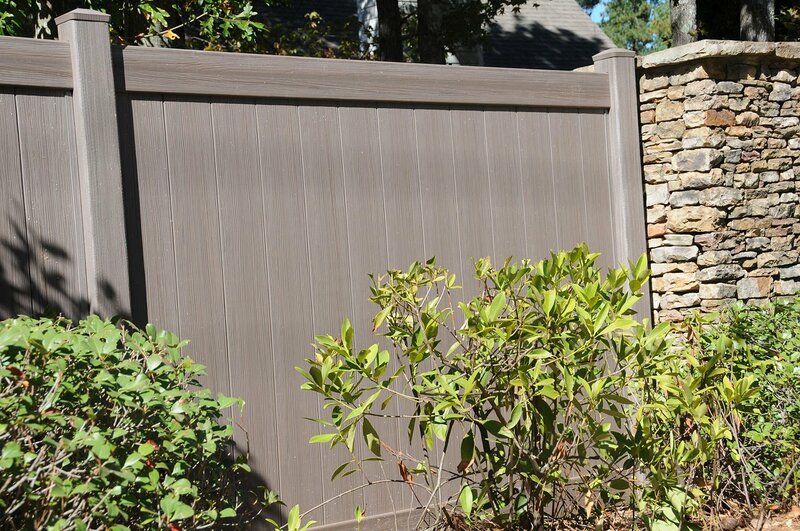 Our Allied Fence professionals are always here for all your installation needs, but if you’d prefer to install your own aluminum fencing, our guide can help you plan. 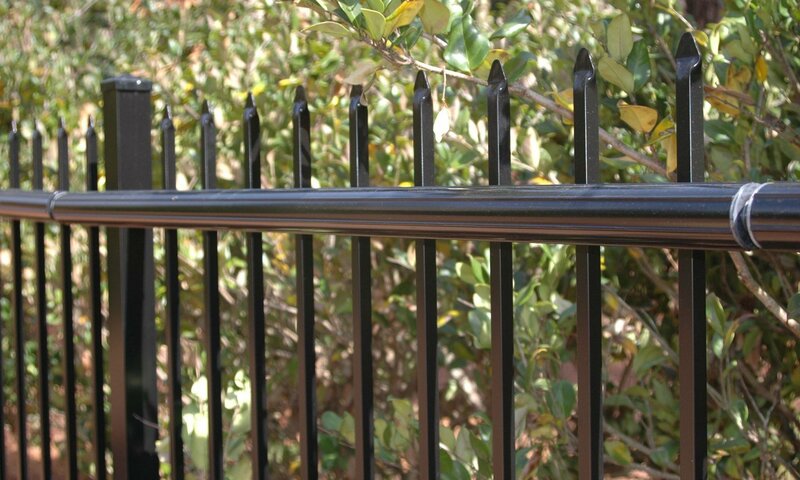 See the types of aluminum fencing we offer. 1. Create a sketch of the area you wish to install your fence, using the sample above as a guide — click to enlarge. 2. Establish all gate(s) and/or transition locations. 3. Determine number of sections; keep in mind that if a required section is less than 6′, this will require the section to be trimmed. 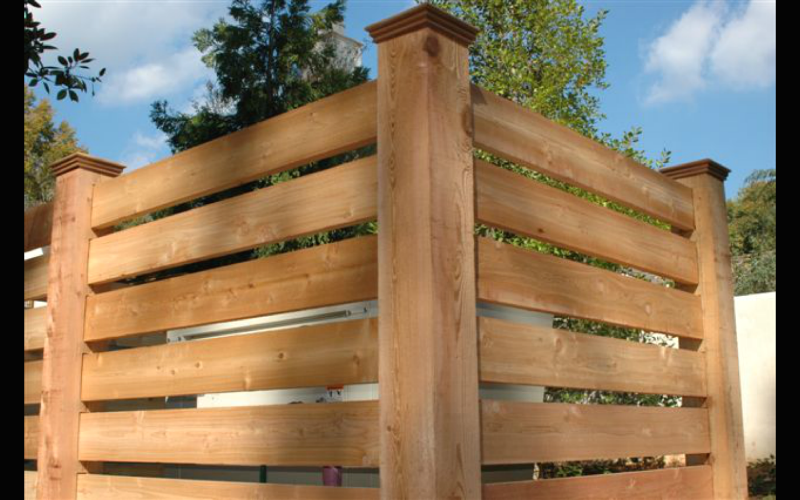 Example: 20′ of fence will require 4 sections (4 sections x 6′ = 24′, 4′ must be trimmed to accommodate installation). 4. Determine the number of posts. Note – all gates must be installed with left and right gate posts only. 5. Enhance your design as you like by adding accessories such as scrolls, finials, ball caps, etc. Consult your building department for local code requirements. Check with utility companies to locate underground pipes, lines, cables, etc. 2. Insert appropriate post into hole (Figure 1). 3. 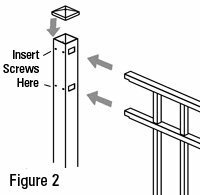 Slide the fence-section rails into the pre-punched post (Figure 2). 4. 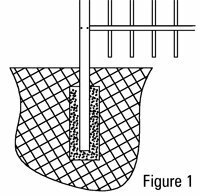 Fill post-hole with concrete. 5. Secure with enclosed screws. 6. Plumb and level the posts and pickets while the concrete is setting. Brace the post as necessary while concrete sets. 7. Hang gate(s) to appropriate gate post(s). 8. 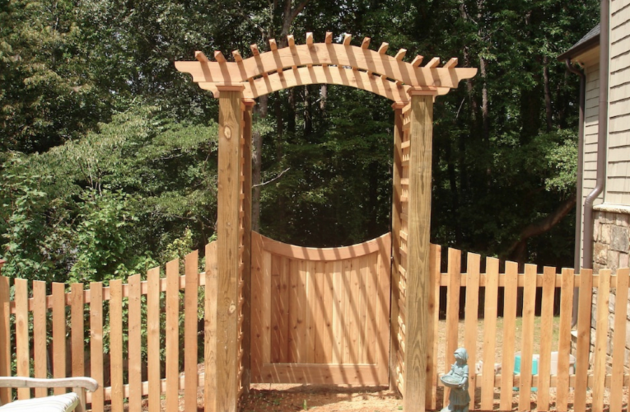 Attach any gate or post hardware and/or fence accessories. 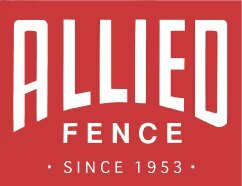 We have several styles of aluminum fence in stock and professional Project Managers available to assist you with all your fencing needs. Contact Us.